Let’s celebrate Autumn’s charm, before we’re overtaken by the blustery cold of winter (don’t worry – we have plenty of fun winter activities in our blog for you). This fun – and FREE – activity is a perfect way to bring the fun of the fall season into both your in-person AND online pediatric occupational therapy sessions. What skills can this Fall occupational therapy activity be used for? Tracing exercises are great for developing fine motor skills and helping to build handwriting skills. And we know that kids will LOVE to trace and color these fun Fall-themed pictures and words! Visual-Motor Integration (also known as VMI) is the effective, efficient communication between the visual systems and the motor systems. Good visual motor integration skills help students learn to perceive and copy shapes correctly, and will be utilized by your students as they correctly copy or draw the leaf shapes in order to complete this activity. Special Note: Of course, this worksheet works well as a printed handout…but did you know that you can upload activities like these into your TheraWeb online therapy sessions to use when providing therapy services to online therapy students? The TheraWeb interface has many great interactive tools students can use, including a pen tool, so that students can trace the leaves on screen! Do you want to see a real Occupational Therapy session online using the TheraWeb platform? Check out these videos! We hope you enjoy this free occupational therapy download and are able to use it in your school-based therapy and online therapy sessions. Be sure to let us know your thoughts in the comments below, and share with your friends and colleagues! 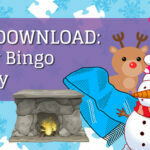 Download your FREE Occupational Therapy Activity Now!